Since I began college in late August, my life has changed greatly. My day begins at 3:45 in the morning when the alarm on my iPod lets out an incessant sound that could definitely wake the dead. Like a zombie, my arm pushes its way out of the covers; I immediately press “snooze” and pray that I’ll be able to squeeze in a few extra minutes of sleep. A couple minutes later, my ears hear the same obnoxious beeping noise that I tried silencing earlier. I grunt, turn off the alarm, and then, open my eyes. I stare into the darkness of my bedroom for a few minutes. I think nothing– until my mind reminds me that I have to get out of bed to get ready for school. I throw the covers to one side and slowly crawl out of bed. I carefully feel my way through the darkness of the bedroom, grab my towel and clothing. Then, I look for the slippers that are sloppily placed near the foot of my bed. I sigh- my mind reminds me that they are always in the same place. Once I reach the door to my bedroom, I close my eyes while I flip on the light switch, open the door, and I make my way toward the bathroom. Once I walk toward the living room, I am greeted by a welcoming “meow” from each of our cats, and a “Hi, sweetie” from my mom. After getting ready, having my morning cup of tea and something to eat (usually a bagel), my day begins to pass by rather quickly. Two-hour lectures seem as if they lasted twenty minutes, and without expecting it, my last class of the day has come to an end. Suddenly, I find myself walking across campus through crowds of other students, to catch the bus to the train station. On my fifty-minute bus ride, my stomach lets out a roar, and my mind can’t help but to think of food. While waiting for the train home, I am still thinking about food. That’s when I being to flip through the pages of my recipe journal. Once a recipe catches my eye, I call it dinner. Since I began college, that’s how my life has been . . . I simply wake up, commute to school, and think about what I want to make for dinner. It’s quite exciting, actually. Monday’s are especially exciting because I’ll usually have have enough time to make my way to the farmers’ market right after class. A couple weeks ago, after coming back with a plethora of lovely cherry tomatoes and cipollini onions (along with other great finds) from the farmers’ market, I decided that dinner would be roasted cherry tomatoes, cipollini onions, and spaghetti tossed with a generous sprinkling of Parmigiano-Reggiano cheese. After taking a bite out of the roasted tomatoes and slices of onion, my taste buds began singing. All of a sudden, the flavor of the entire dish smacked me and told me that the roasted tomatoes and cipollini would make into a lovely sauce (or pesto). I placed the tomatoes and onions in the blender, tasted for salt and pepper, then placed everything into a saucepan. Once the sauce heated up, I added in a bit of pasta water, swirled in a pat of butter, and spooned this lovely sauce over a bowl of warm spaghetti. At first, I was not sure of what to call this recipe. It can be considered a roasted tomato sauce and a tomato pesto. It is absolutely lovely spooned onto a mountain of your favorite pasta, or spread onto a sandwich with mozzarella cheese and fresh basil leaves. To make a cheesy sauce, add up to ½ cup of Parmigiano-Reggiano to the sauce, followed by the pasta water and maybe even add in a small handful basil leaves (when blending in the food processor) for some more flavor. If you plan on using this on a sandwich, you can leave out the pasta water and maybe add in a few fresh herbs. This sauce / pesto is as versatile as it gets! Enjoy! Preheat the oven to 375ºF. Line two rimmed baking sheets with parchment paper. Bring a small pot of water to a boil, and blanch the cipollini for about 20 seconds, then placing them into ice water. Using a paring knife, make small cuts on the outer layer of the cipollini onions, and slide the outer layer off. Cut the onions into quarters. Coat the onions with the olive oil, and a sprinkling of salt. Place on a parchment-lined baking sheet. Arrange the tomatoes, cut side up, on the second baking sheet. Lightly shower with salt. Bake everything for about 30-40 minutes, or until the tomatoes crinkle around the edges and the onions have browned and begun to caramelize. 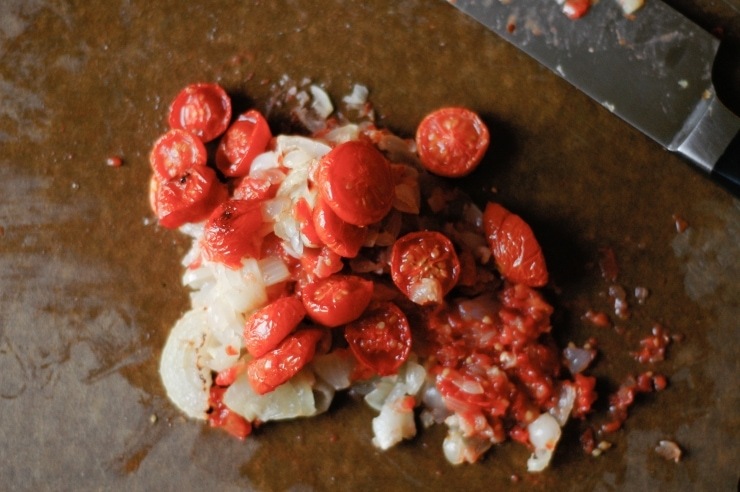 In the bowl of a food processor or blender, blend the cipollini and the tomatoes until smooth, about 10 seconds. Place the mixture in a medium saucepan on medium-low heat, stir in enough pasta water to a desired consistency (I added about ⅔ cup of the reserved pasta water to the mixture, but you can definitely use less). Swirl in the butter, taste for salt (and add freshly cracked black pepper, if desired) and spoon the warm sauce onto a bowl of your favorite pasta. Enjoy! Beautifully written! My mind actually was following all through out from your ipod’s alarm to your cats to your last lecture and your train back home. This is my first time around here and I’m so glad I clicked on someone’s tweet link leading me to your page. Good Luck to you! Looking forward to your next posts n then the next! Your schedule made me tired, and I’m sitting on the couch reading your post! It sounds as though you have fallen into a good routine and still find time to do the things you love the most. This sauce looks fresh and comforting – the perfect way to end a full day. Yawn! 3:45 must come quickly once your head hits the pillow. And your mom is up that early too? Yikes! It is fun to follow your journey and I can’t wait for more of your stories, recipes and photos. 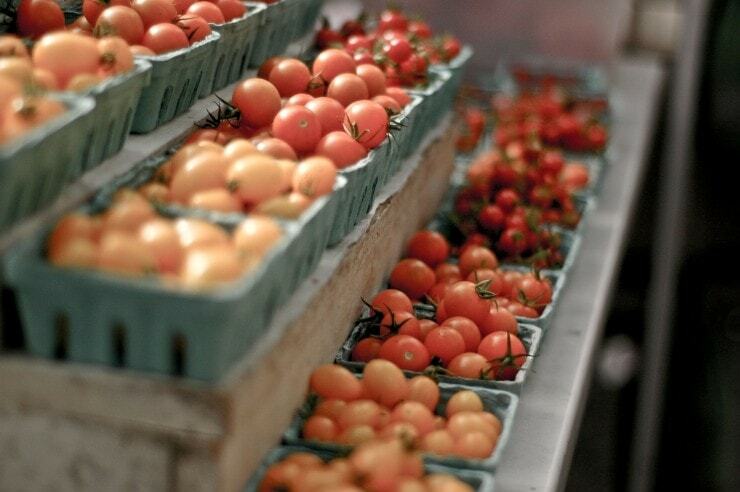 I especially love the one of the tomatoes in the baskets – the depth of field is perfect! You wake up at an ungodly hour!! Hopefully next semester you won’t have to wake up so early. Love this recipe :) Maybe you’ll find some more goodies at the farmer’s market tomorrow. Wow, I’m impressed. When I was in college I don’t think I could have ever gotten up that early. Sounds like a lovely sauce! This looks stunning, simple and delicious. Will defintely try it ASAP. So glad that Viviane posted this link. I am obsessed with recipes that use very few ingredients but that deliver such tanatlizing results. Thank you for the entire post… I love hearing about someone else’s waking moments, esp when they are the type who thinks about food. So I appreciated that segment tremendously. Another thing: When I went to college I didn’t know how to cook anything and I ate CRAP (gaining plenty of weight in the process). Now I am practically raising my kids in the kitchen so that they will have the tools when they go off to college (or whatever). Your post inspired me to think that my vision might actually come true one day. Thank you!! Gorgeous photos! What a beautiful place – the tomatoes look fabulous. That sauce sounds positively lovely spread on a sandwich with mozzarella and fresh basil! Jenn – It requires little effort too. It is extremely versatile and absolutely wonderful. It’s not what you’d expect a tomato sauce to taste like, but I find it very enjoyable! It’s early now and I feel for you…as long ago I gave up on alarm clocks. Though the sound of a crying baby (or two) is not much better at letting you wake up slowly either. Sometimes I wish I was back at school just for the learning part, which I always enjoyed, but all the other stuff was high on my “hated” list. Papers, exams, teachers, waking early, long days….I feel for ya buddy! At least you still have your mind on what really brings you joy, food. Keep it up Kamran, you have a very unique way with it. can i just say that your day starts early! when i was a freshman, my days started around 11. and the fact that you’ve still energy at the end of the day to whip up dinner is amazing. this recipe looks divine, it’d be good served cold/room temp too… or slathered on a piece of toasted bread for an afternoon snack. hmmmm. Wow, Kamran, 3:45?!? I vaguely remember my college days and rolling out of bed around 8:30 or so for my first class at about 10:00. What a dedicated student you are. And after all that, you still have the energy to cook dinner. Just amazing. Welcome back to this space, Kamran. Those tomatoes are so beautiful at every stage, raw, roasted, and blitzed into sauce. Thanks for this sweet peek into your day. It sounds like you’re figuring out how to do it all! Just a great post and great pictures. Love it from the first one to the last! Love how you roasted these first – what a great way to relax from a crazy schedule! just stumbled on your site recently, and all i can say is WOW. so young. so pretty. so YUMMY LOOKING! Absolutely delicious! I love making roasted tomatoes, such a different flavor. Sounds like your classes are going well, but that wake up time is more like coma time. Best wishes for another great day. 3:45!?! Guess you are not playing into the stereotype of college kids awaking close to noon (as err…I did). This sounds like the perfect nibble of relaxation in an otherwise crazy schedule. Gorgeous photos too btw. I am a new reader on your site and when I saw this recipe yesterday, I printed it out and ran into my kitchen. When I made your recipe, I added in parmesan cheese, basil, and a little of the leftover pasta water from the spaghetti I made, just as you suggested in the recipe. Once I put this sauce on the spaghetti I almost died! It was freakin delicious (can I use that language around here? ooops). Anyway, I have to say I am very impressed and I’m saving your recipe! Great job! Lan– Ooh! Love the toast idea! Jess– Thanks for the welcome back! I can’t leave this part of my life again. Being M.I.A is not fun, especially when I am cooking and baking a lot around this time of the year! This looks insanely good and very simple. And the photos are gorgeous! Sounds simple but yet so good! Nothing better than fresh tomatoes. 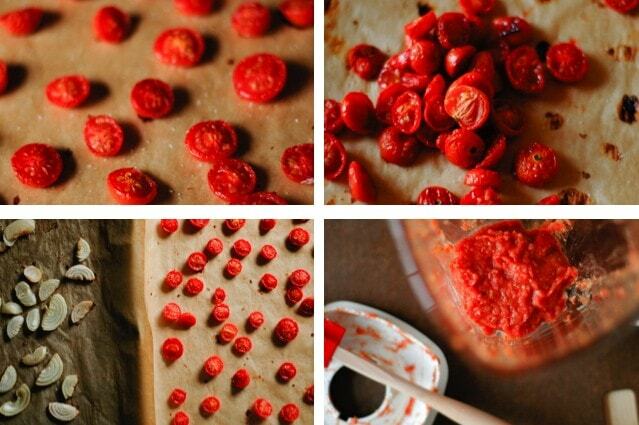 What a beautiful recipe… That tomato sauce looks simple and perfect. Lovely! 3:45AM?! Holy geez…I went to film school which meant that most of my classes were mid-day or at night so we were all going to bed at 3:45AM! And I can totally relate to thinking about dinner all day. That’s my life every. Single. Day. Beautiful pictures too! You get up so early. That must be so hard. And you still cook at night. I hope that you enjoy your new College. Enjoy and come back with more delicious recipes! Beautiful! And I love how you’re making it all work – school/life/food. Feed your mind, feed your body; everything else falls into place as long as you are truly satisfied. great pictures! homemade tomato sauce is the best. I love a good tomato sauce; it beats all other sauces in my opinion. This roasted version makes me want some right now! That pesto sounds wonderful! I keep searching for a recipe with cipollini onions, and this looks perfect! 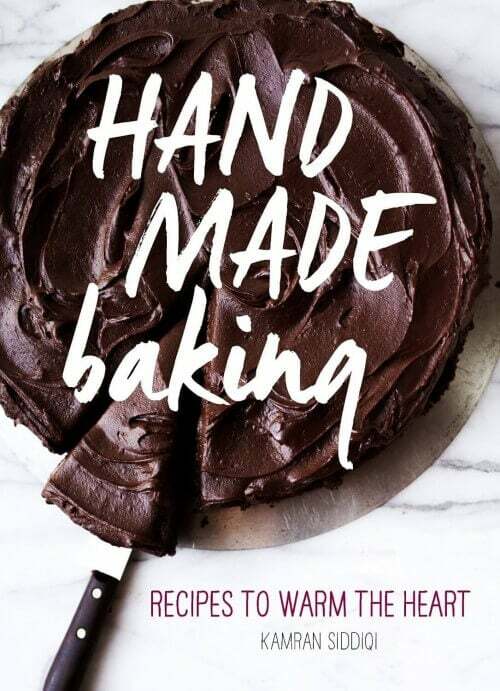 This is a great recipe, and it was so beautifully written and complimented b your awesome photography. In regards to college, dude, I feel your pain. I also find it difficult to cook since college has just turned my world upside down. Good luck with it, and keep the great recipes!